Our listings are showcased on individual property pages within our website which allows us to capture potential buyer interest and easily share your listing details across multiple online platforms. We present your listing online by highlighting all marketing efforts, using large-scale professional photos of the property and adding highlights such as floor plans, property features, 3D matterport tours and custom videos. All of our print marketing pieces are custom designed, for every property. We work with professional graphic designers to create a consistent, polished and modern style for all of our print materials including glossy property brochures, feature sheets, flyers and signage for your lawn, neighborhood and open houses. For every listing, we are committed to getting the word out about your property sale. In addition to our network, outbound sales calls are made by our team to surrounding owners and residents introducing them to the listing opportunity and generating buyer interest. Our network spans outside the reach of South Florida coveringUSA and to potential international buyers. Our unique, custom property videos have a viral effect. By strategically targeting the potential buyer demographic for your listing, they will typically attract thousands of views. Our videos are professionally filmed and edited, always. It’s so important to be aware that there is a huge difference between a virtual tour and a video tour. Don’t be misled! Most agents will promise “listing videos” and what they intend to provide is an animated slideshow or virtual tour of the photos of your property. We spend the money to do it right. Our Open Houses are planned based on your property type and location! We aim to create buzz and strong interest in your property through strategic online marketing. In addition, our agents call your neighbors and the surrounding area to invite them to the Open House and generate potential buyer interest. Our sales and marketing strategy is designed with this end result in mind: to sell your property for the most amount of money, in the least amount of time, with zero hassle or stress. That is what creates the ultimate real estate experience and one that will last forever. Our entire sales team working on your behalf, not just one solo agent | All full-time sales representatives | Strong track record in sales, negotiation and marketing | Combined, over 50 years of experience. 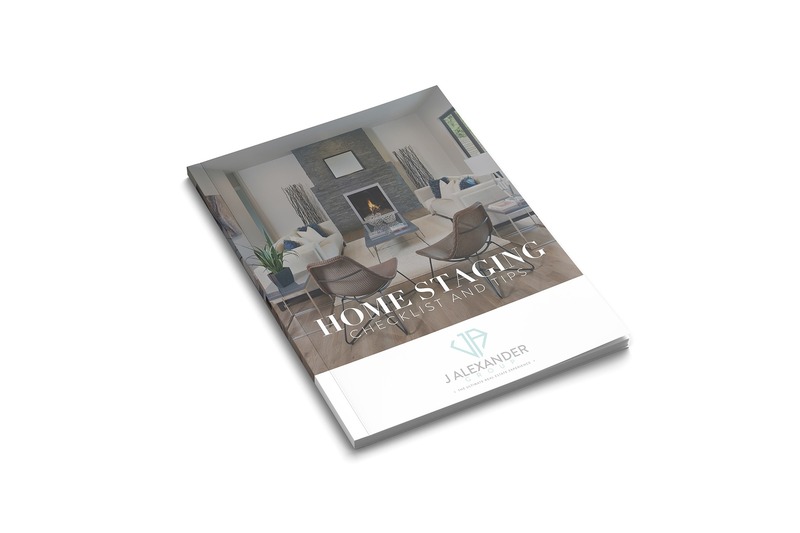 Get Instant Access to Our FREE "Home Staging Checklist". Staging your home is an important step in the selling process and can have a significant impact on how quickly and for what price your home sells. Creating a plan for staging your home is an essential part of the process. Together with our Stager we compiled a list for you to use when getting your home ready to sell.